Combining forces to compete in softball, Spring Valley and Ramapo high schools are doing quite well, thank you, as the East Ramapo Titans. Coached, mentored and guided by one-time Suffern HS player Stephanie Brown, the Titans split their first four games as a prelude to the coming weeks when crunch time (four games scheduled each week) will test the team’s mettle. The Titans, whose team is formed without the benefit of a youth program, compete in an Independent league, taking on opposition from Yonkers and some other small schools in Westchester. The Titans feature five seniors, including right fielder Donia Balthazar, up from the junior varsity, who will enter St. John’s University in the fall in its physician’s assistant program. Veteran senior returnees are sparked by leadoff hitter Tiffany Francis, a second baseman who is an excellent base-runner. Lauren Victorino, the left fielder, is coming off a three-singles, two-doubles performance in a victory over Gorton. The other seniors are right fielder Vironica Leone and captain Cristal Matos, who plays first base. Third-year veteran catcher Kaydian Grey is another determined Titan who elicits high praise. Other players into their third year on the diamond are left fielder Rebecca Louisthelmy, and track standout Jada Reilly, a “fast, quick” center fielder with a high on-base percentage. In the circle is sophomore pitcher Trisha Centeno, with Danicka Jean-Baptiste, another sophomore, manning the key shortstop position. Also counted upon are juniors Marie Antoine, a third baseman and Nadiya Kitcmanuk, an outfielder; and freshman newcomer and third baseman Paola Victorino. It’s not your everyday sport, not even a varsity sport in the great state of New York, but crew – rowing if you will – is alive and well at North Rockland High School, with the mighty Hudson River as your home field. The Red Raiders crew is coached by the troika of veterans Barbara Condon of Tomkins Cover, Dolores Kilduff of Warwick and Justin Cardillo of Stony Point – who spent four seasons as coxswain at his alma mater, North Rockland. The team practices at Riverfront Park in Stony Point, and practices have been gearing up for the season-opening regatta on May 6 at West Point, hosted by James O’Neill HS in Highland Falls. The Red Raiders are a combined team of boys and girls, competing as four- and eight-man crews in sculls, or boats, sparked by four-year veterans Emily Schmidt and Amanda O’Connor, both of Stony Point. Schmidt is also a four-year member of the volleyball team. The senior brigade of three-year veterans includes Joe D’Armiento of Stony Point, Michael Vong of Garnerville, Sorita Jean Charles of Haverstraw and volunteer fireman Billy Babcock of Stony Point. Tappan Zee HS alum Zach Adler had a solid season as a goalkeeper on the Columbia University men’s soccer team that featured 10 international players. Adler, a junior, made 34 saves in seven starts, with two shutouts, as the Cougars went 5-1-1 in the Ivy League and 13-3-1 overall. Zach’s younger sister Sydney Adler competes on the rowing team at Lehigh University. The Mountain Hawks meet Holy Cross on April 29 at Lake Quinsigamond in Worcester, Mass., and travel to Philadelphia, Pa., on May 12 for the Dad Vail Regatta on the Schuylkill River. … Tappan Zee HS alumna Cassidy McGovern of Blauvelt is a freshman member on the rowing team at Cornell University. The Big Red challenge Dartmouth in the Parents Cup in Ithaca on April 29 in preparation for the Ivy League Championships in Camden, N.J., on May 14. … Junior shortstop Ashley Lew of New City is enjoying another solid season on the softball team at Pace University. Lew, an alumna of Clarkstown North HS, is batting a team third-best .317 and has a .911 fielding percentage through 123 chances. The Setters, hovering around the .500 mark, host St. Thomas Aquinas College in Sparkill on April 28 with a doubleheader as part of Senior Day festivities, scheduled at 3 p.m. at Pace Field in Briarcliff. … Clarkstown South graduate John Kukura of New City is leading the high-flying Pace University baseball team with a .359 batting average, with three homers and 17 RBI. North Rockland HS alum Brian Bohlander, a freshman infielder, has one homer and nine RBI in 15 games while sophomore southpaw Dan Wirchansky of Stony Point is pitching to a 2.89 ERA with a 2-4 won-loss record. Sophomore backstop Mike Barbato of Sparkill is batting .320 in 11 games for the Setters, who travel to Albany on April 29 for two games against College of Saint Rose at 3 p.m., and then meet Adelphi University on May 2 at Peter X. Finnerty Field in Pleasantville for a twin-bill scheduled at 3:30 p.m. … North Rockland HS alum Mike Cruz of West Haverstraw placed eighth in the long jump as SUNY Cortland hosted the Cortland Classic. … Clarkstown South alumna Camryn McGrath of West Nyack, who competes in Varsity Eights, and the University of Delaware women’s crew team compete Saturday against Temple, Navy, and West Virginia in a four-way meet on the Schuylkill River in Philadelphia. … As the season draws to a close for the men’s lacrosse team at St. Thomas Aquinas College in Sparkill, North Rockland HS alum Tyler Senatore of West Haverstraw, a freshman midfielder, ranked second in scoring with 31 points, while Albertus Magnus alum Josephy Nyemchek of Valley Cottage, a sophomore middie, had 12 points. Others playing for the Spartans were Christos Chondris of Blauvelt, Kieran Lee of Pearl River, Luke Madry of Nanuet and goalie Mark Paul of Blauvelt. … Powered by John Barna, Albert Johansmeyer and Sean Clohessy, the Rockland Community College golf team continues to run second to Westchester CC in the Mid-Hudson Conference standings. 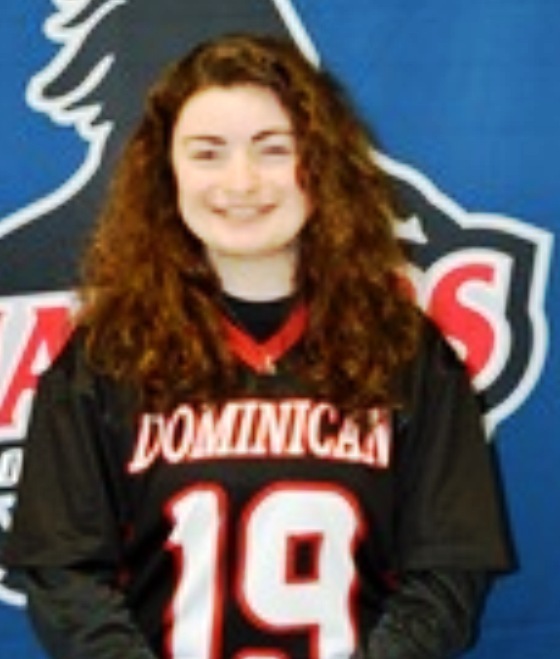 … The Dominican College women’s lacrosse team competes in the CACC championship tournament on Saturday at 2:30 p.m. at Georgian Court University in Lakewood, N.J. Sparking Dominican has been freshman midfielder Jenna Fox of Stony Point, tied for first in scoring with 56 points. Junior midfielder Jeanie Peluso, also of Stony Point, ranks third on the team with 27 points. Junior Cara Moran of Tomkins Cove guards the net, while senior Shayne Gallagher of Blauvelt plays attack, and Aileen Burke of Pearl River is a junior defender for Coach Jim Drivas. … The Dominican College men’s lacrosse team closes its season at home in Orangeburg on Saturday at noon against the University of District of Columbia. North Rockland alum Sean Driscoll of Stony Point, a senior middie, has nine points on the season. 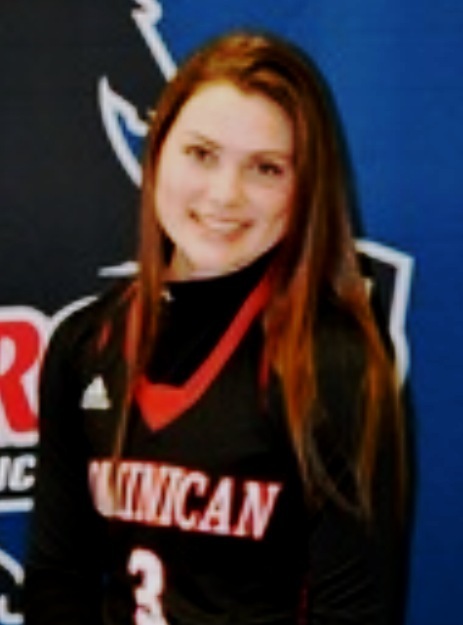 Adler never ran track, but competed in basketball and tennis at North Rockland HS, and also played tennis one year at the collegiate level at Rensselaer Polytechnic Institute in Troy. Adler’s best showing in Beantown came in 1984 when he clocked a highly respectable 2:30-plus, but time is no longer of the essence after running, jogging and walking through 179 marathon courses all told. Next stop for Adler will be on August 24 at Rockland Lake State Park in Congers for the transcendental Sri Chinmoy Marathon, and then – if he survives – there is the New York City Marathon in November. New York will be Adler’s 29th on the ledger.